Prepared by: Paula Sylvia The Port of San Diego extends our sincerest and heartfelt gratitude to the Pacific Coast Shellfish Growers Association and all the members that we were able to visit during our tour of different segments of the shellfish industry in Washington from September 7-8, 2017. Many thanks to all those around the world who participated in the International Coastal Cleanup on September 16th. 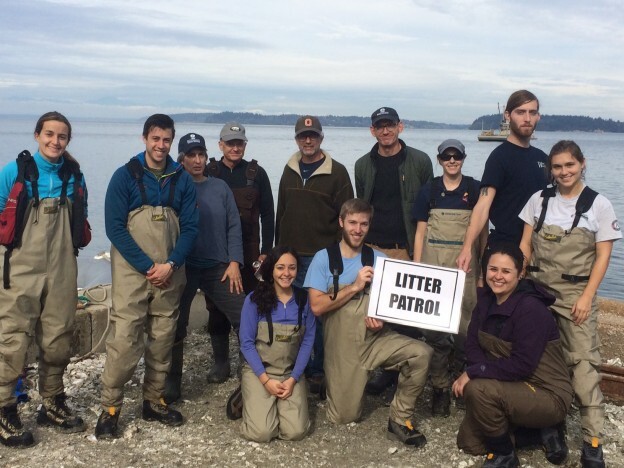 PCSGA is honored to continue support for Washington CoastSavers with dumpsters and shellfish growers who contribute to this global debris removal effort. 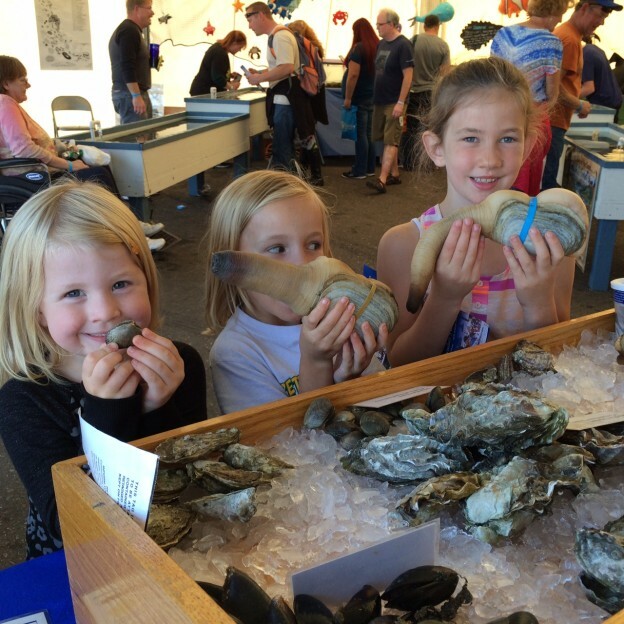 Geoduck Festival, Shellfest, & Oysterfest. PCSGA attends an abundance of outreach events through out the year. Below are a few updates that brought summer to an end and rolled in the Pacific Northwest rainy fall. 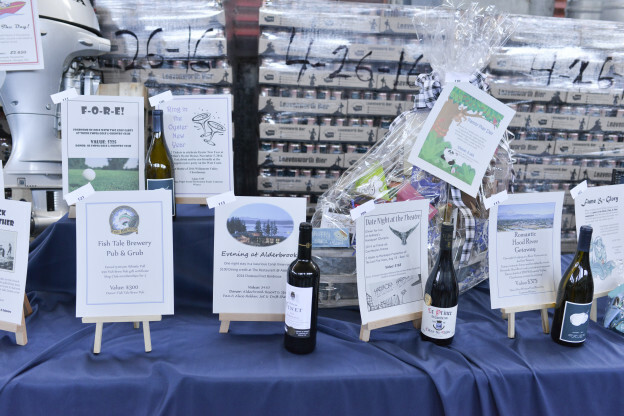 Wonderful photos from Allyn Days – Geoduck Festival! Rob, from Rob’s Shellfish, started the day introducing Derek Kilmer and his daughter to a geoduck. During this year’s SLURP live auction, Jeff Weil out-bid his fellow SLURPers to become the prized winner of the Geoduck get-together. Jeff and four others spent the day with Brian Phipps, Taylor Shellfish, harvesting geoducks, oysters and clams. PCSGA extends a huge thank you to those who participated on October 21 at the 22nd Beach Clean Up, Fall 2015. It was great to see the comradery and group effort to clean our south sound beaches! This event truly wouldn’t be possible without the help of all volunteers. 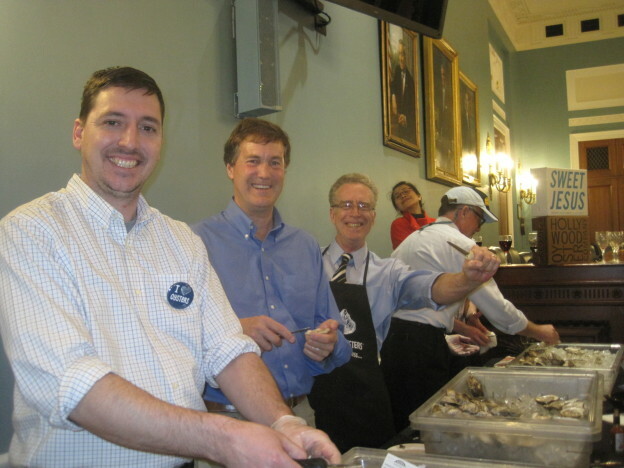 OysterFest 2015 was a great success! Thank you to all the volunteers and those who came out to support Skookum Rotary and PCSGA!